We asked our exhibitors from this sector for their thoughts and views. 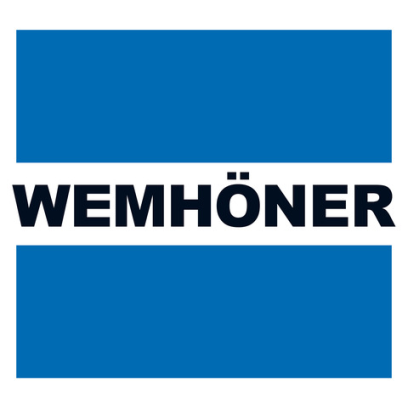 Read on to find out how Wemhöner Surface Technologies GmbH & Co. KG, of Herford, Germany, is dealing with the challenges currently facing the surface technology sector. 1. Is digital printing on wood and panel products something your company does? If it is, then what are the challenges involved? Heiner Wemhöner, managing partner in Wemhöner Surface Technologies GmbH & Co. KG: Digital printing is a key focus of innovation in our organization. We started our initial development work in this area back in the mid-2000s. Apart from our own in-house developments, we were at the mercy of whatever the printhead manufacturers and the electronics industry were developing in terms of printhead and process control systems. Nowadays there is an industry standard that functions well both for printing on wood panel materials and on sheet substrates. One remaining challenge is getting the innovation cycles right. Printhead resolution is getting constantly higher and the data files for photographic and decorative motifs are getting bigger and bigger. This creates constant pressure for ever more powerful server technology to run it all. The challenge is that these innovation cycles are much shorter than you normally get in classic plant and machinery settings. Another challenge is that digital printing machines require very different skills on the part of our employees, meaning we need to invest in training and education. Then there are challenges around what combinations of technologies and systems to deploy for the mix of materials being used. For example, not every ink is suitable for every type of wood panel or paper. That calls for considerable expertise on all of the materials that make up the final print product. 2. What aspects of digitization or Industry 4.0 are important in surface technology, and what is the role of automation? As the various items of plant – and hence the processes they perform – become more interlinked, and as output capacity and batch size flexibility get higher, you need control systems with a level of intelligence that is almost impossible to achieve without digitization. These increases in surface treatment plant performance and flexibility also mean that humans are playing a very different role in the overall process. Increasingly, their work relates to process-defined inspection and oversight functions. In other words, the process itself relies not on human intelligence for its stability, but on the intelligence of the systems. With today’s systems, each panel carries its own digital order and production data, which are used to initiate machine set-up processes and maintain quality parameters. 3. In what ways can digital printing functionality be integrated into the process flows of furniture manufacturing plants? We don’t have any digital printing applications for direct integration into furniture manufacturing. Rather, our machines are used upstream in the surface finishing of wood panel products for use in furniture manufacturing. Our digital printers can print decorative layers directly onto suitably prepared wood panels. Once printed, the decorative layers can then be sealed either with a pressed-on overlay or a transparent lacquer coating applied in a coating line. The panels are then further processed into furniture components. Alternatively, the decorative elements can be printed onto paper, which is then resin impregnated and pressed onto the panel in a press line. Impregnation and pressing are classic surface treatment processes which, in this case, are used in conjunction with digital printing. This technology involves printing with water-based inks, and water-based inks have been a key focus of our development work right from the outset. 4. Has digital printing opened up endless creative possibilities for wood surfaces? It certainly pushes back the limits of what is possible, but it’s never long before those limits are reached again. For instance, where it was once a challenge to print a non-repeating decorative motif as large as 2.8 meters, we can now easily do motifs four times that length. That’s largely a function of improvements in computing power. I am sure this limit will be pushed back ever further as the computers we use become more powerful. But that’s only part of the equation. Of even greater interest is the question as to what can be printed, by which I mean the design possibilities, certainly, but also the efficiency with which small and mid-sized batches can be produced. Machine users today can print exactly as much – or as little – as they need, which makes smaller batch sizes economical. With digital printing, it is also quicker for users to get new product developments onto the market because they can print directly from the digital data set. Other types of printing processes require preliminary printing stages, which costs more time. Moreover, it is quicker to transmit digital print data online than it is to transport impression cylinders and paper rolls by conventional means. Thank you for talking to us today. Managing Director of Wemhöner Surface Technologies GmbH & Co. KG on the subject of surface printing.